The replaceable nose section of an inserted mandrel body. 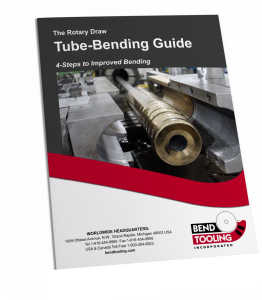 It is designed as a relatively inexpensive component of a mandrel assembly to be detached from the mandrel body when it is worn out and disposed of. Another feature is that a mandrel nose insert of one material can be swapped with one of another material so that the same mandrel body can be used for different tubing materials.